22-year-old Gus Dapperton is an American singer/songwriter who is coming at you with a fresh and unadulterated new sound straight out of Warwick, NY. Totally unique in both his music and his concept videos to match, the singer fuels his own inspiration, it seems. Unearthing parts of him and laying it out for us to see, his music feels tender and raw under his indie/pop lyricism. Already making huge moves appearing on the ‘13 Reasons Why’ soundtrack with his song ‘Of Lacking Spectacle’, the singer is making it big on the music scene since his debut in 2016. Accumulating over 30 million streams alone on his songs ‘I’m Just Snacking’ and ‘Prune, You Talk Funny’, it’s clear that this singer isn’t going to be fading out of the spotlight anytime soon. 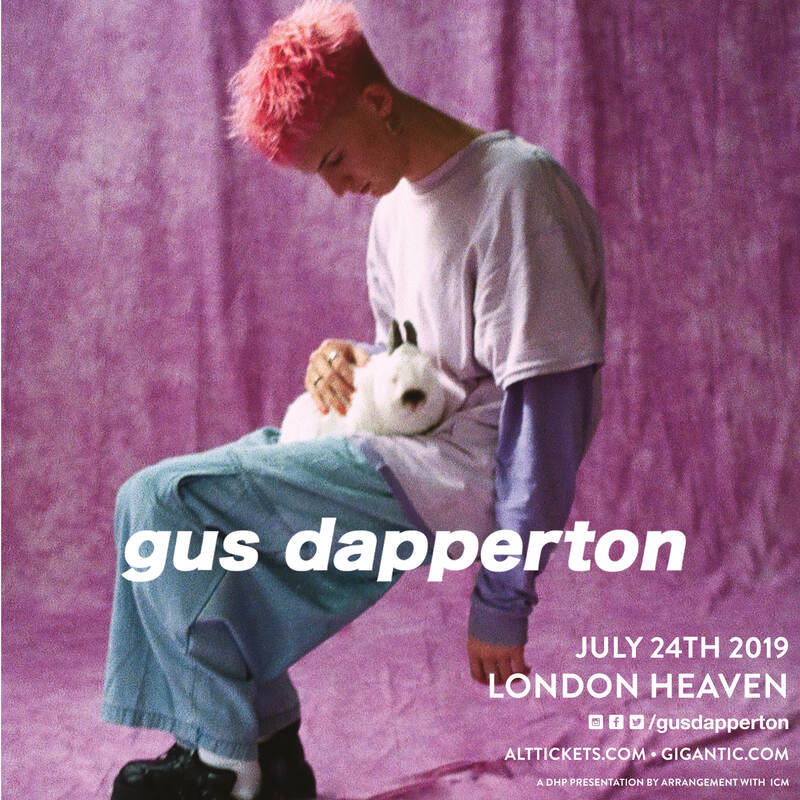 Garnering millions of views on his YouTube cinematic music videos, Dapperton proves he’s truly the real deal with his ability to do it all. With his catalogue of music already including two EP’s ‘You Think You’re A Comic!’ and ‘Yellow and Such’, his fan base is growing more and more as his career flourishes, just check his one hundred and thirteen thousand Instagram followers.